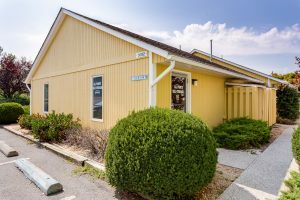 Self Storage in Winchester, VA 22601 | Self Storage Services Inc.
All Points Warehouse Winchester – Shawnee Drive is conveniently located off I-81 on Shawnee Drive, allowing us to serve businesses and residents of Winchester, Kernstown, Stephens City, Parkins Mills, Armel, and Round Hill, Virginia. Feel free to drive out here and talk with our resident manager! The little city of Winchester and its nearby communities are home to a few thousand families and retirees who enjoy a quiet and peaceful way of life. We don’t want you to spend your evenings and weekends organizing and decluttering your home, which is why we go above and beyond to help you with a self storage solution that suits you. Whether you’re the owner of a business whose office needs a new home or a college student attending Shenandoah University, you will never have any problems storing your stuff here! Located just off I-81, our storage units come in a wide array of sizes and options, including indoor and outdoor parking for boats and RV’s. How to store a vehicle depends on a handful of factors. How old is the vehicle? How long will it be in storage? What type of storage does it need considering the climate? Our resident manager will help you whenever you need it by answering these questions and more, allowing you to maintain the integrity of your vehicle when it’s not being used. Call us to find out more about our U-Haul truck rentals, 24-hour access, and other amenities!